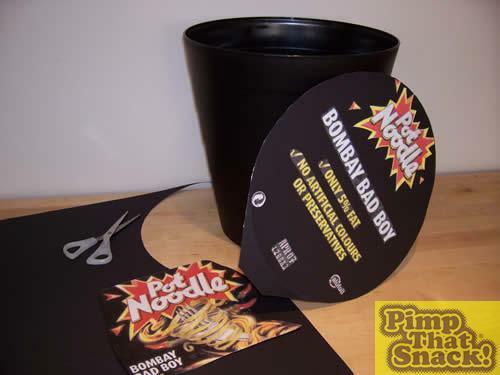 The pot noodle is an icon in the snack world. 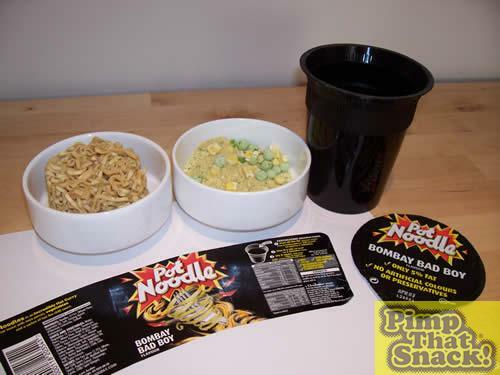 Previous efforts to pimp this classic have been, frankly, pretty poor so I decided to set about creating the daddy of all noodle snacks. 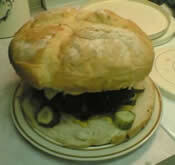 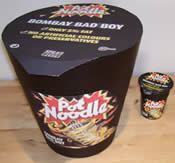 Inspired by the ‘bombay badboy’ pot noodle, ladies and gentlemen I give you…… The BOMBAY BEHEMOTH!!! 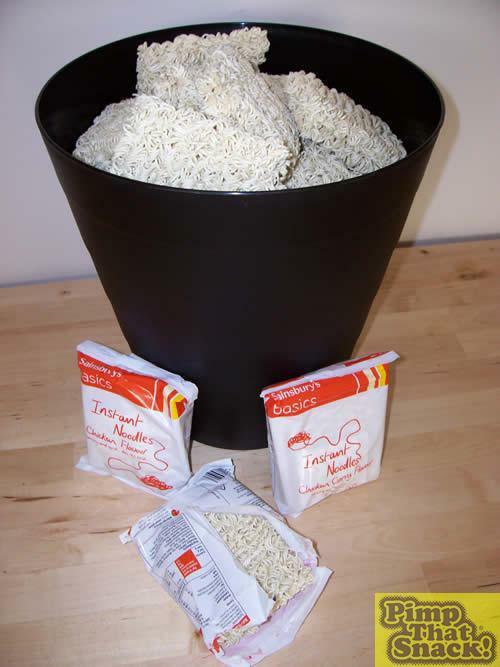 Ingredients; 1 bin, black card, 27 packets of noodles, Soya pieces (did you know there’s no real meat in a genuine pot noodle? 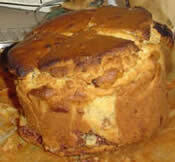 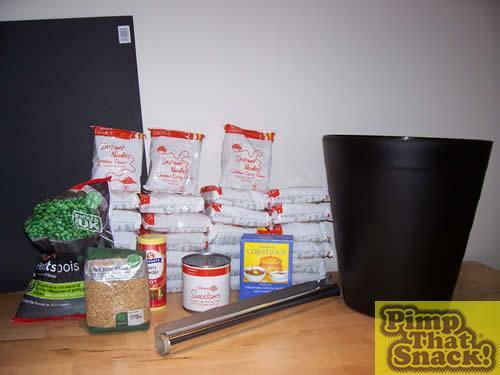 ), sweetcorn, peas, hot curry powder, cornflour and foil.